I have been trying to setup a pick up. After a bit trying i got it working with enabling free shipping set to no and add prices 0.000.
go to "modules and service" -> "payments" and edit "Carrier restrictions"
Hmmm I did play around with it but it did not help. As to my understanding this only disables / enables payment modules depending on the shipping choice of the customer. I know it works for me. is it possibly the shopcache and browser cache - have you emptied and / or disabled? is the shipping option not available/active in the article/product (backoffice)? I did check but when I set things as you have selected them I can not set countries (I can not tick the tick boxes). And the shipment method does not appear in the FO. 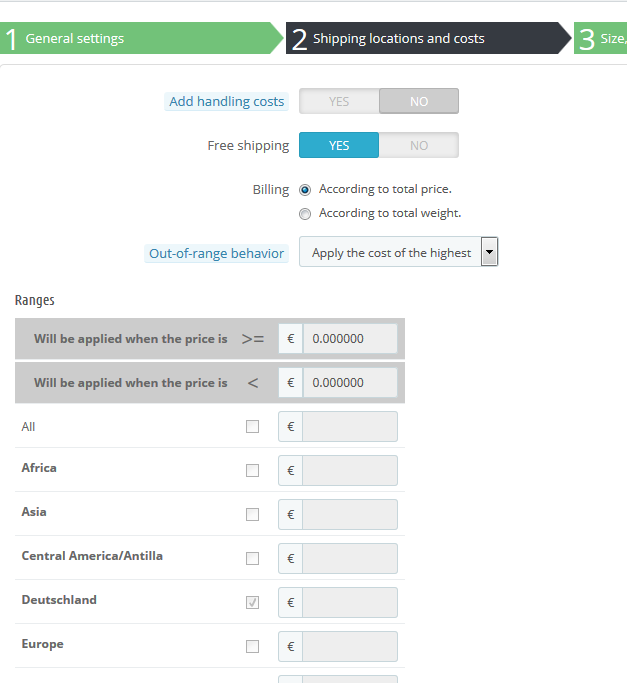 I have fixed it by setting free shipping to no in the shipping configurations screen. Then on the list where you can see all shippers i have ticked free shipping. This seems to overrule without disabling the zones and now it works.